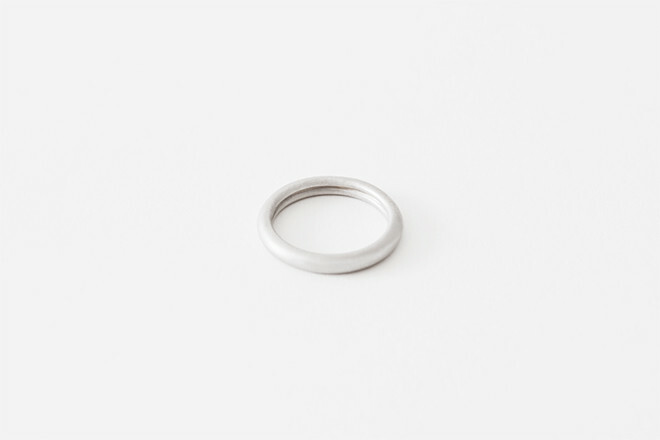 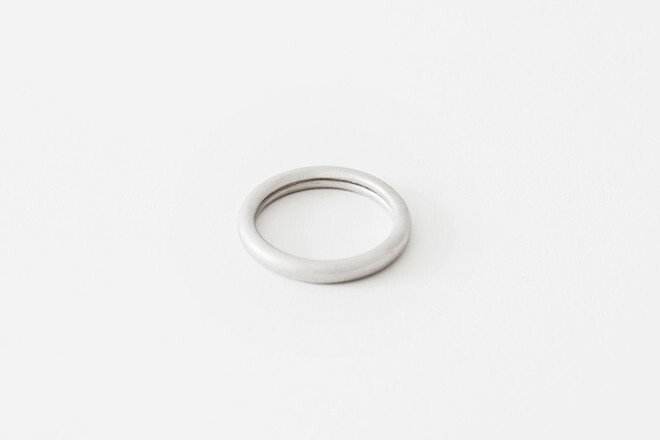 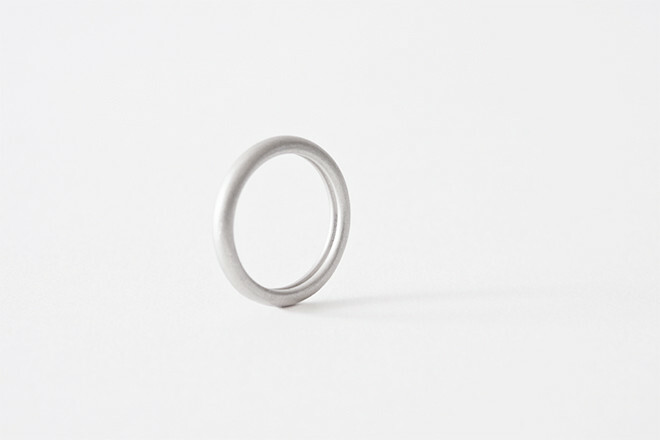 On first glance, this is a featureless plain ring. 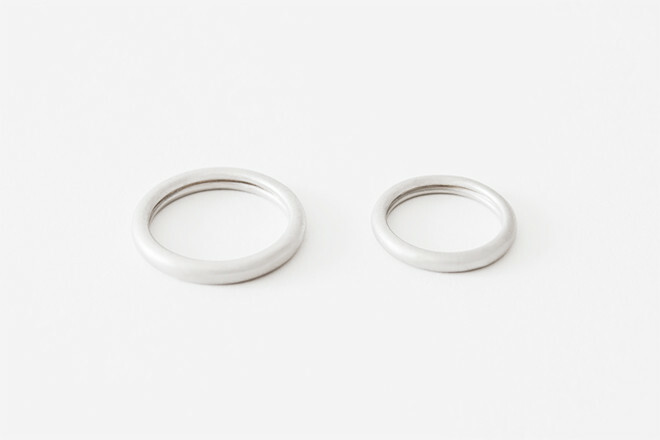 When it is taken off, it will be seen that two snuggled rings inside shape the one ring. 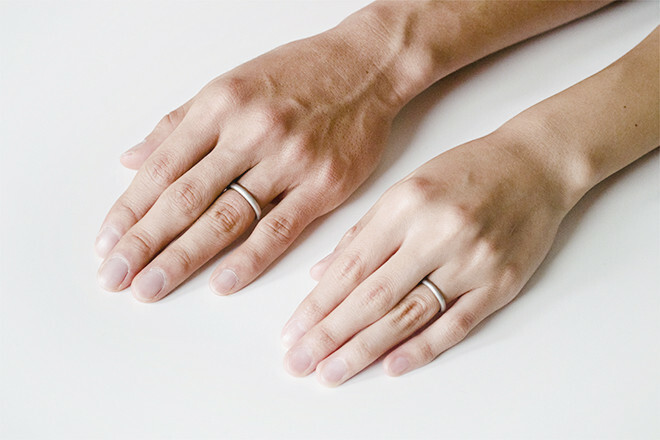 The ring reminds how two have a life together when least expected. 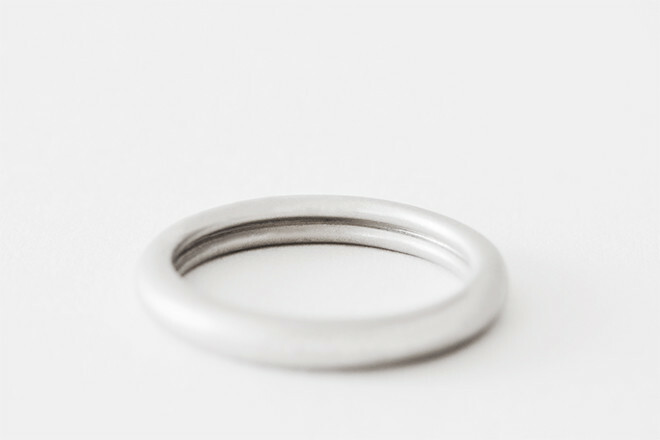 The pearskin finish of platinum gives a gentle impression and fits naturally in fingers.